Yay ice cream! I bet that didn't last long! Ooh strawberry? I wonder how long she stayed that clean looking lol! What a lovely picture, she looks totally mesmerised by ice cream! 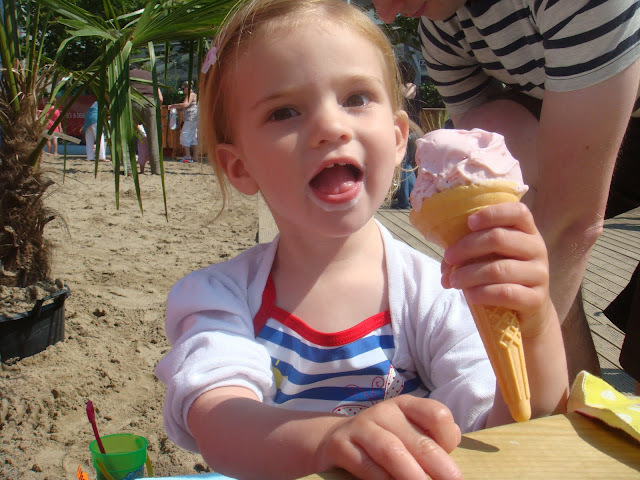 what a beautiful picture, ice cream and sand and sunshine - perfect! Oh lovely - can I have a bit? !